Piper / Ledex Relay w/ Serviceable tag. P/N 172937-001. Piper P/N 484-117. 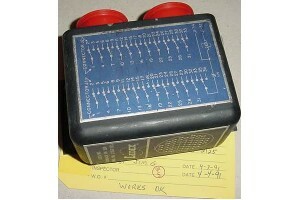 Piper Aircraft / Ledex Relay w/ Serviceable tag. P/N 172937-001 or D-9082-T-28 or D9082-T28 or D9082T28. Piper P/N 484-117 or 484 117 or 484117.